Participants can join and interact with experts to gain experience in the implementation of the Basel, Rotterdam and Stockholm Conventions. Webinar presentations are recorded and available for download, including a transcript of the questions and answers raised during the sessions. 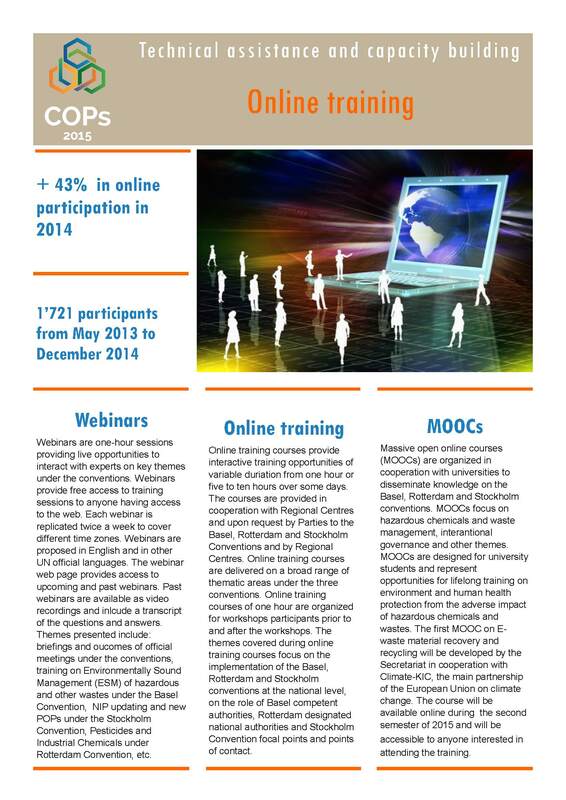 Webinar training sessions present case studies and training units that the Secretariat delivers during face-to-face training courses, opening access to information on the Conventions to a larger number of stakeholders. The webinar library provides recorded training units and information sessions on several thematic areas such as: NIPs under the Stockholm Convention, new chemicals listed under the Conventions, new Basel Convention technical guidelines, cases of illegal traffic of hazardous chemicals and wasters, briefings on the meetings of the Conferences of the Parties and of the working bodies under the Conventions, etc... Connecting to the webinar sessions is easy. 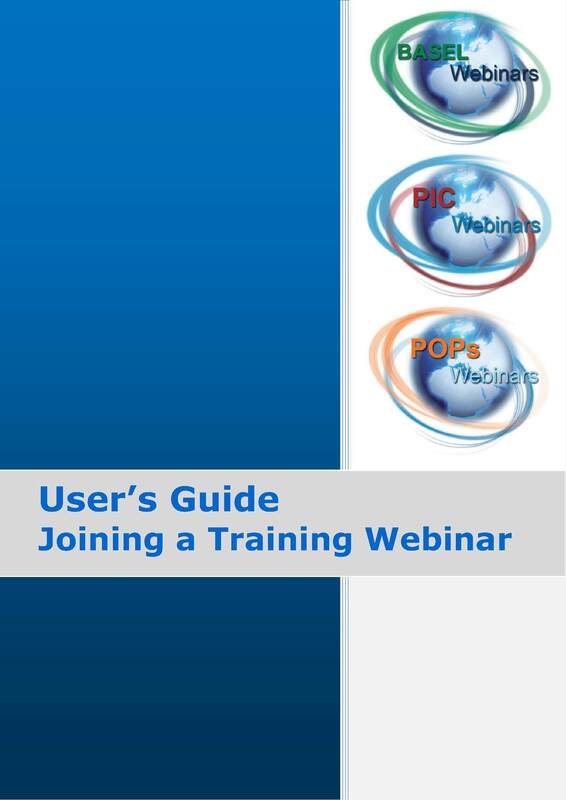 A webinars users' guide explains how to connect and join a webinar. See our statistics on webinar participation from different regions.